Tiaras & Prozac: A very brief introduction to slings. A very brief introduction to slings. The type of sling you want will depend entirely on you and your baby. Its such a personal choice. These are generally 'sized' (so it's important you measure yourself correctly) They're quite small, easy to fold up and store under the pram or in the changing bag and super easy to slip on and off as there's no adjustment factor so you just pop baby in and pop baby out. They can be used from birth to toddler with many different carry positions and can be used when breastfeeding for handsfree feeding etc. The cons however...the weight is distributed on one side only and they offer no lower back support to the parent. Also as they're sized generally only you can use it and not dh etc. Just like Pouch slings except they're adjustable so can be worn by anyone and you can tailor the fit and support. Wrap conversion ring slings can be especially supportive and comfortable such as Girasol, Oscha etc or You can get your own woven wrap converted by a company such as Ocah. Ring slings have a variety of shoulder types such as gathered, hot dog and SBP so It's worth experimenting to see which suits you. Probably the most versitile sling out there. Endless carrying positions, multi-user possible due to the sheer adjustability of it, excellent support for mum and baby. Bare in mind 'stretchy' slings like a moby are especially good for young babies yet aren't really supportive enough for an older baby or toddler yet woven slings like storch, Kokadi, Natibaby, Oscha, girasol etc are. Cons? The main con is that they're a learning curve to use, once mastered they're easy peasy but you may be bemused at first as you're presented with what is essentially a very long piece of cloth! Both of these are like the more structured mainstream carriers you can by but infinately better for baby's phsyiology and mums. SSC's often have buckles or clasps whereas ABC's are usually with ties. The MT is my absoute favourate sling. It's VERY comfortable,. versitile and easy (mine is a joeysling) I used a MT until my daughter was around 2, walking many miles...with Sciatica and lower back issues that were not at all exacerbated. It can be trial and error. Many sites often have end of line and ex demo slings going cheap. They have excellent re-sale value and there's plenty of places were people sell and trade/swap their carriers. You can buy off the peg ones such as babyhawk, joey slings, rose and rebellion, wompat etc or You can get custom made ones from the likes of up & away carriers, Madame Goo Goo, Ocah, Kitten creations, babies in space, kinderpack, Melkaj and many more. Here you can meet up with other babywearers, experiment with their carriers ask them questions etc. 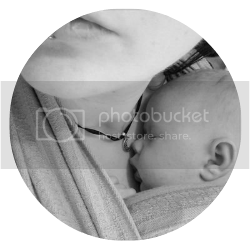 www.thebabywearer.com is like a bible on babywearing and the review section is helpful as it doesn't just review types of slings but loads of different makes/brands of each type too. www.naturalmamas.co.uk is a fabulous resource and community with a wealth of advice and experience not to mention a great preloved board. Slings have a very good resale value and many mums love selling and trading them etc so if you get one and don't get on with it, fear not you can easily trade it for something else or sell it.